This modification was developed by June Marshall. 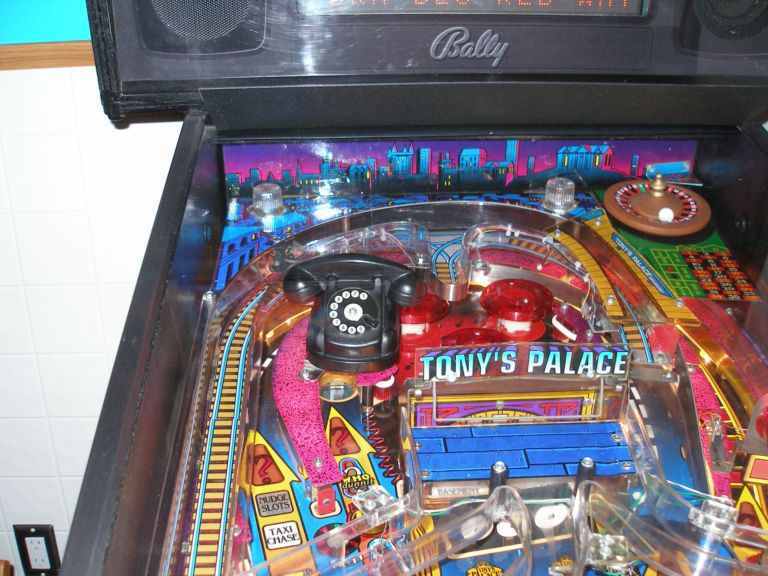 I picked up a Bally, Who Dunnit? 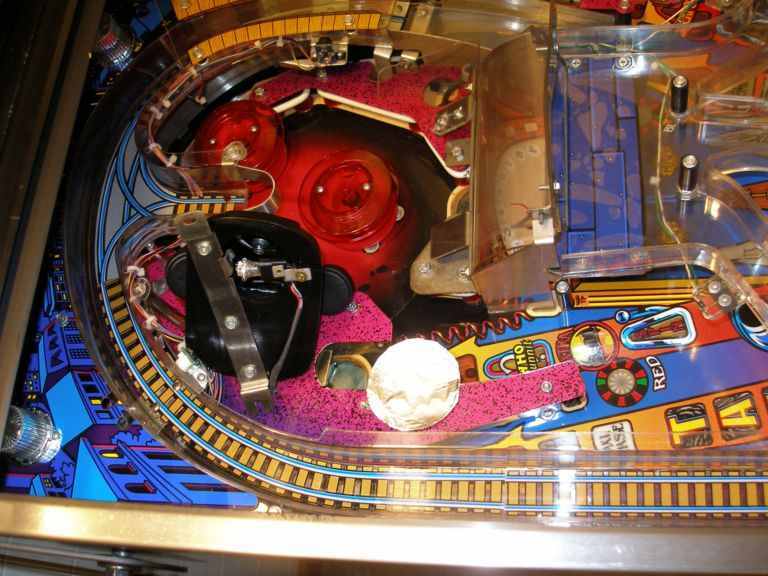 pinball machine. I noticed that the light inside the phone was lighting up the dial numbers unevenly. The top half of the numbers were brighter than the lower numbers. There was even a dark spot on the dial where hardly any light shone. My curiosity caused me to take a look and see what the problem was. The phone is easily removed by just unscrewing the two nuts that hold the bracket which holds the phone. It appears that the way the light placement was designed it didn't give even light dispersal. 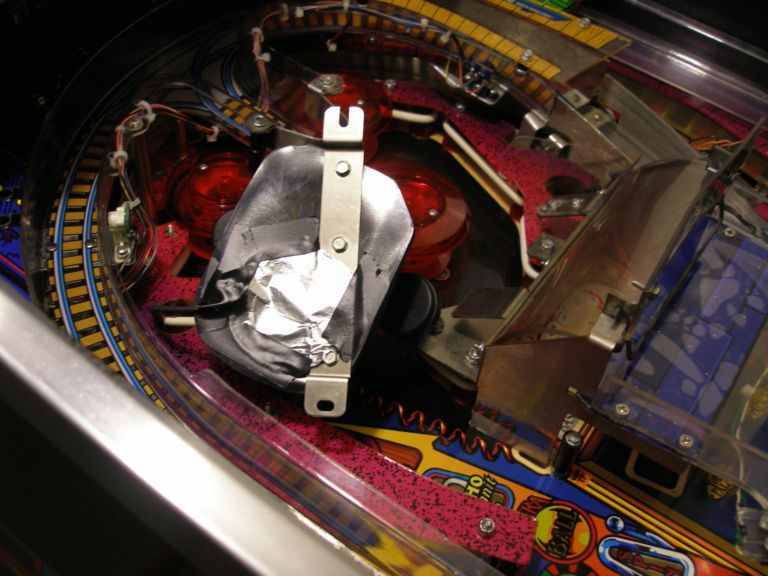 I took the phone off the playfield laid it on it's side and took the light socket off the bracket. Be careful not to put any undue tension on the wires as you are working with the phone. I drilled a hole in the bottom of the phone across from the bracket. There is also a small bracket attached to the light socket that already has a hole so I put a screw through the bracket hole and the hole I drilled. I added a 906 LED flasher and tried it out. It looked much better, but I noticed that light was leaking out the round hole underneath the phone so I simply cut a piece of aluminum foil to fit and taped it on with electrical tape. 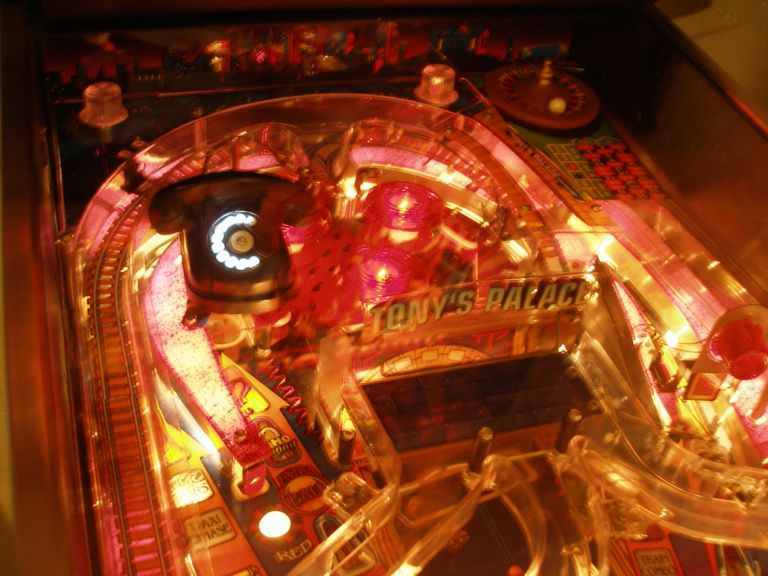 I fired up the game and went into flasher test and it was so much brighter and the light dispersal was even from number 1 through 0 on the dial. The LED flasher makes more of a statement as its light is much bolder and brighter and the color temperature of the LED is better suited for the job than the regular bulb that was there. The foil will keep the light from leaking out the bottom and reflect the light inside to make the area inside the phone even brighter. It's a cheap mod that works. Note: make sure the aluminum foil doesn't touch any exposed wiring !